Home Inspection | "Professionally Responding To Your Home Inspection Needs"
Before you purchase your new home, allow us to conduct a thorough inspection using the most current technology in the Home Inspection Industry. The detailed report of our findings can be provided on site & will be available within 24 hours after the inspection is completed with online access for you & your agent to help you make a sound decision about your major investment. Our professional team can also reveal to you the necessary unseen changes that will lower your energy bill by conducting an Energy Inspection to your existing home. Each Inspection includes thermal imaging, a recall check of all permanent appliances and has a $10,000 Honor Guarantee. We also offer an extended warranty for your new home purchase and you have the option to take advantage of discounted alarm service if needed. We encourage you to attend when possible. The home inspection will be an educational experience in regards to the health, safety and home maintenance and we’ll make sure to address your areas of concern. Your safety is our number one concern and we’ll work diligently to inspect the home, verifying that the residential coding requirements have been met and brining your attention to any safety issues or long term maintenance concerns that we may observe. Although the home inspection is a visual inspection, we use Infrared Technology, which allows us to see things that are not visible to the human eye. Early detection is key and with the help of our thermal imaging, we’re able to notify you of a problem that may exist beneath &/or beyond the surface, helping to minimize the damage & the cost of the necessary repair. Along with our infrared equipment we use other diagnostic tools to include drone technology to help check for moisture, gas leaks, proper water temperature & pressure and proper functioning of the electrical receptacles. We inspect all major components of the home to include but not limited to interior and exterior structure, heating & air components, electrical, plumbing, and we’ll check the permanent appliances for safety recalls . Our goal is to provide you with some additional valuable information about the house that you’ve decided to make your HOME. Don’t purchase blindly, call us to schedule your home inspection today! 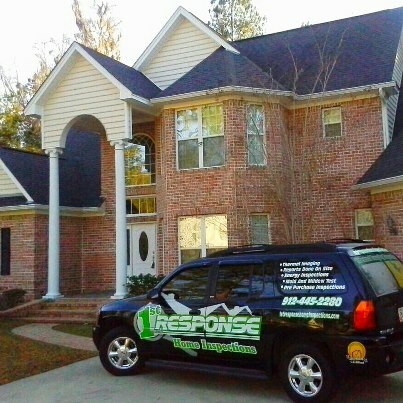 Home Inspection for Savannah, Richmond Hill, Pooler, Hinesville, Ludowici, Garden City, Rincon, Guyton and surrounding Georgia cities.